More than 3,400,000 individuals of all ages volunteered their time, talents, and resources to assist The Salvation Army's work in 2013. Our volunteers are critical partners in helping us fulfill our promise to America of "Doing the Most Good." 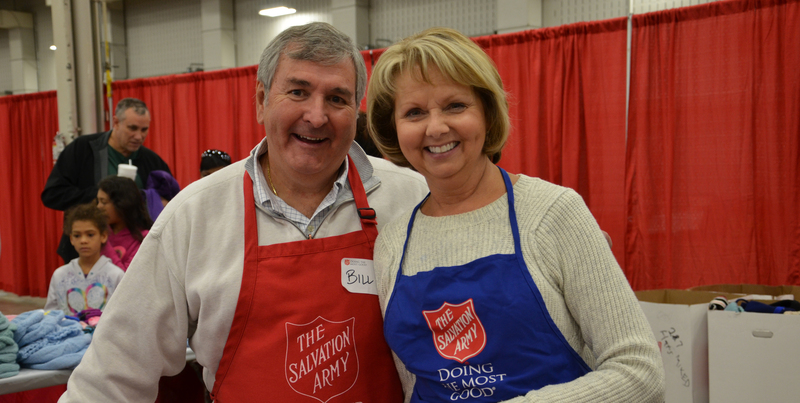 The Salvation Army also relies heavily on its corporate volunteers for help throughout the year. With your help, we are able to stretch our donor dollar for maximum impact and build a stronger community. Want to get involved, but not sure how to go about it? Getting started is super easy! Sign Up Today! Provide and install updated kitchen equipment - ice dispenser, sneeze guards, etc. Interactive activities with children and volunteers. The children always enjoy the special attention and nurturing provided by volunteer groups (evening or weekend activities). Provide shade cover over playground areas - A shade screen over the playground equipment would allow much more time for the children to enjoy these activities. What did you have in mind? Our team would love to coordinate a service opportunity to meet your needs! Questions? Ideas? Ready to be of service? The Salvation Army will continue Doing the Most Good®.